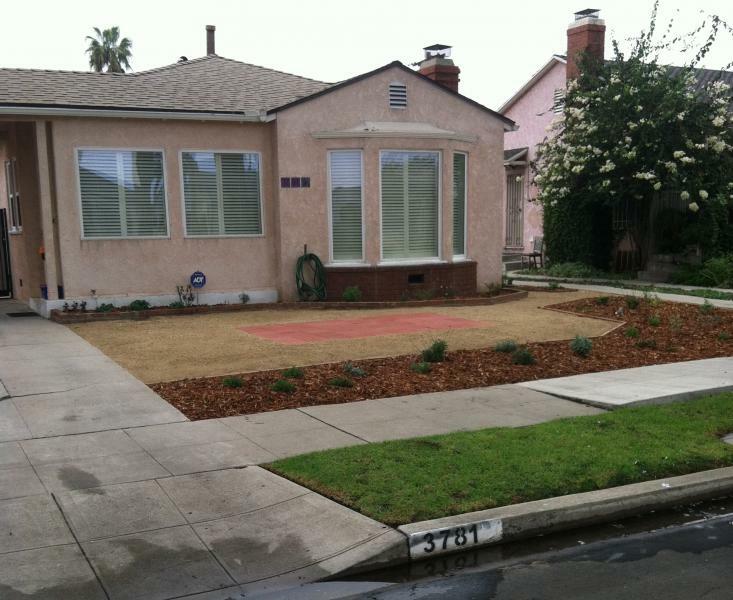 Some homeowners in the Leimert Park area of Los Angeles decided to convert their lawn into a more water-wise garden recently. They then published the narrative of the project, along with photos and analysis at the Sierra Club’s online website. The project is a classic before and after and they discuss the sots of doing the job, the turf rebate incentive that drew them to making the commitment and finding a designer. 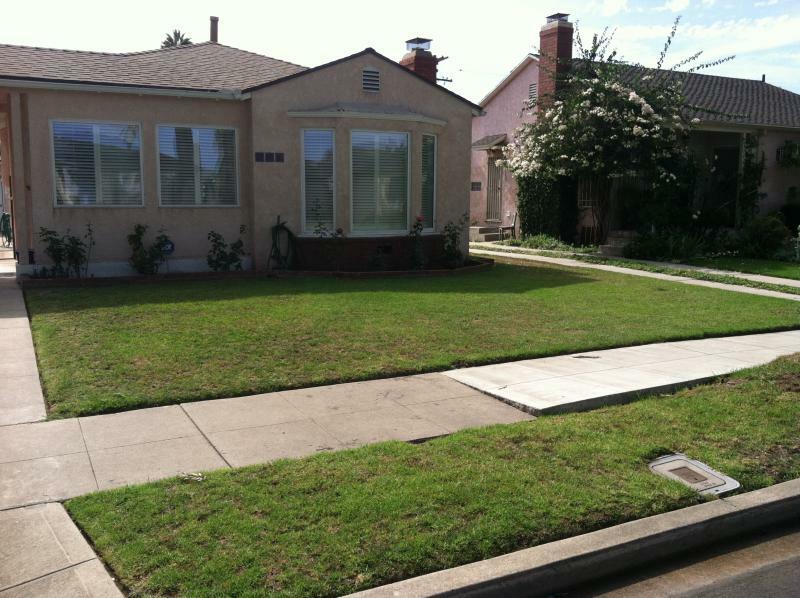 The before and after photos were, apparently, the ones they sent to DWP in order to complete the paperwork for receiving their rebate, so the “after” picture” isn’t a full-grown, lush garden yet. But they did get the job done! 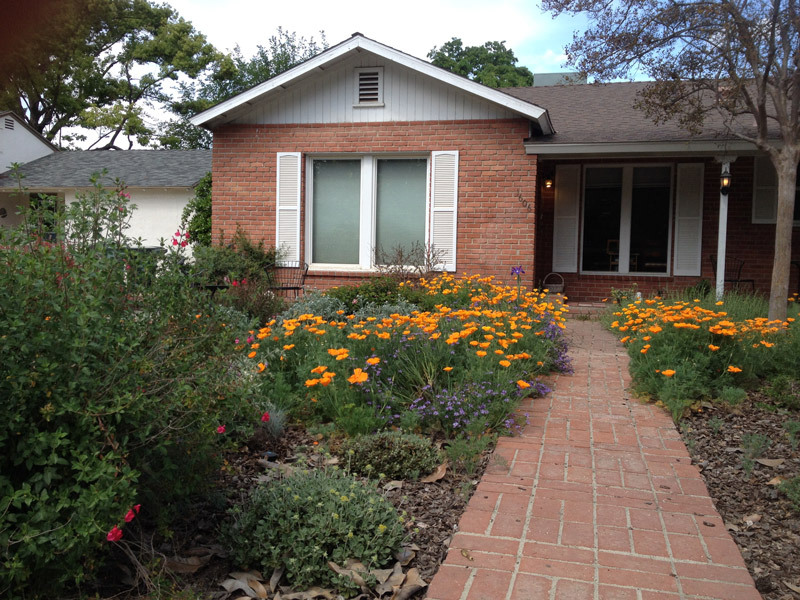 • We are working with our gardener to transition to the care of native plants rather than a lawn. There are legions of gardeners throughout Southern California who make their living cutting grass. They need help to transition to this new form of yard care. This help could come from such agencies as immigrants’ rights groups, day labor site sponsors, and city governments. • The retail home improvement stores give very little space to California natives and do not label their plants as such. This makes it very difficult for the average homeowner to find native plants and to get the advice they need. This needs to change. 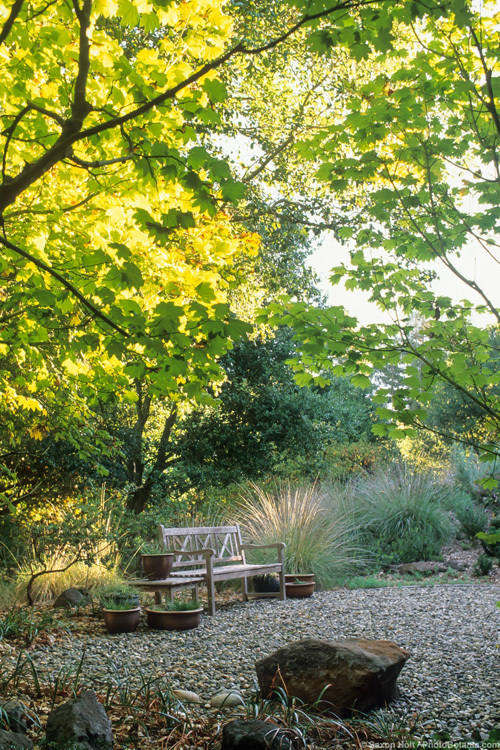 • Those companies who are converting lawns to a drought tolerant landscape need incentives, education, and encouragement to plant natives only. 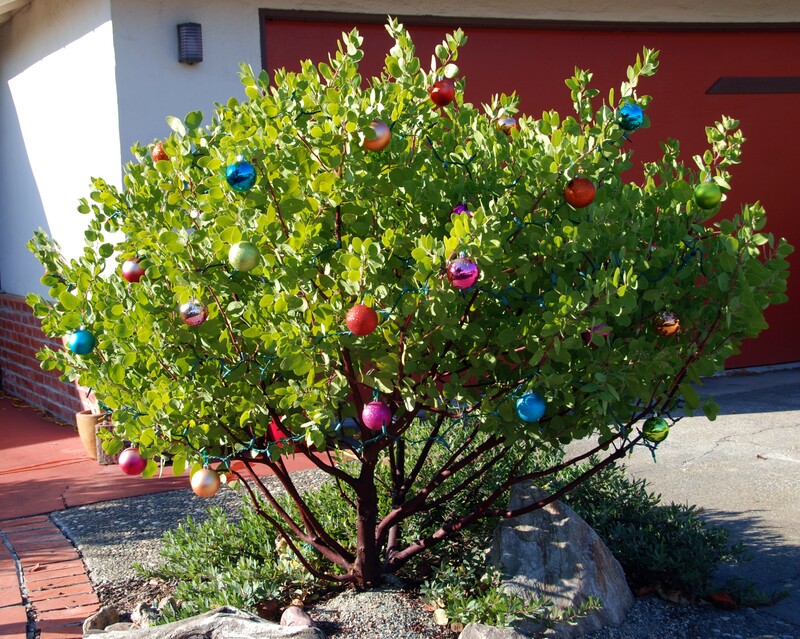 • The water utilities should provide a list of contractors who are approved to apply for the rebates in the homeowner’s stead and who also are committed to planting California native plants. This is essential for the large group of homeowners, like us, who are not likely to do such a project on their own. • City government should make it a priority to partner with community based organizations and the private sector to establish retail native plant nurseries throughout Los Angeles. This could be done in conjunction with groups such as North East Trees, TreePeople, and the Conservation Corps. Many jobs could be provided and it would be easier for homeowners and contractors to purchase native plants if there were more such nurseries available. Their gardening points sound familiar, don’t they? And this is what the CNPS Horticulture Program is working to change throughout the state and Baja. 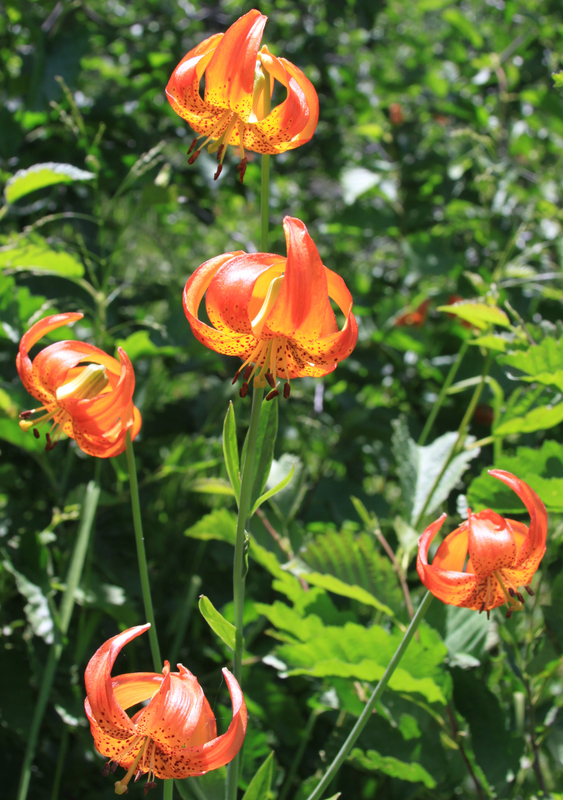 Please continue to support our efforts to spread the word about the efficacy of native plant gardening!